Imagination time: You're one of the world's greatest guitarists and a pioneer of the metal genre. You've had an illustrious career in the U.S. and it shows no signs of stopping. You're at the top of the world! Where do you from there? There are a million answers to that question, but Marty Friedman had only one: Japan. 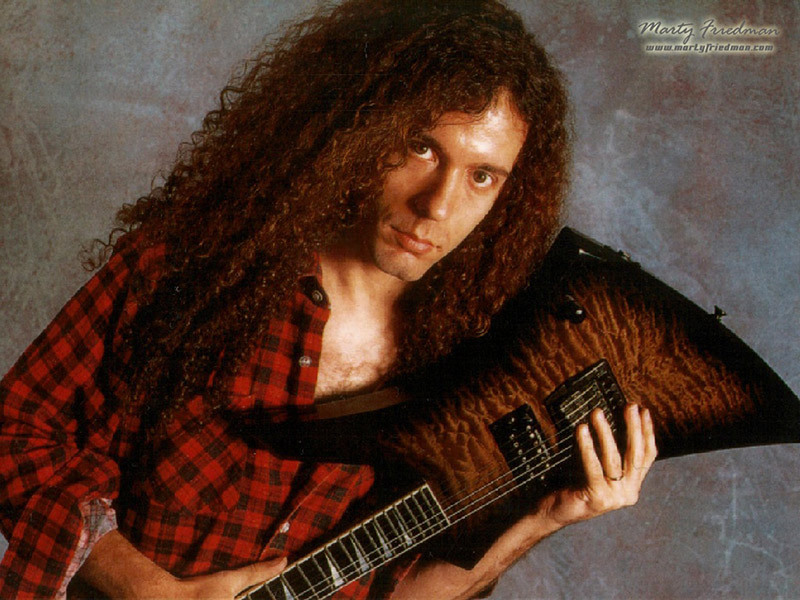 After launching his career with twin guitar harmonization in his band Cacophony, Marty Friedman joined Megadeth in 1990. It was during that time he did groundbreaking work on chart-topping songs such as Symphony of Destruction, Lucretia, Angry Again, and Tornado of Souls. By 1999, Marty had made four platinum albums with Megadeth, toured the globe, and become one of the most respected guitar virtuosi in the world. It was at this point he packed up his American life and moved to Tokyo. If his career was unfolding so spectacularly, why move to another country and start over? What obstacles did he face in a move to Japan? What successes did he find once he got there? Rather than answer these questions, I'll let Marty speak for himself. Tofugu had the opportunity to quiz Marty on these topics shortly after the debut his new solo album Inferno (which I must say melted my face off!). Fasten thy seatbelt, dear reader, as Tofugu interviews the man who rocks Japan. Marty began teaching himself guitar at the age of fourteen. While living in Hawaii as a teenager, he first heard Japanese enka 演歌（えんか）, which had a profound impact on his guitar playing. Q. When did you first hear Japanese music? I lived in Hawaii in my teens, that's where I first heard it, but at that time I was just mesmerized by enka singing only. I wasn't really into Japanese pop or rock back then. Q. How did enka influence your early guitar playing? I emulated the voices of top class enka singers with my guitar. Everyone else was copying Eddie Van Halen, Jeff Beck, and guys like that so most guitarists sounded quite similar then. I was on a different path of guitar interpretation altogether. Q. What enka singers were you listening to and which would you say had the most influence on your music? At the time, I really didn't know who was who, I just knew I was listening to the major artists, because those were probably the only ones you could get your hands on their music, at the time, in a local store that would sell Japanese cassettes and stuff like that. I later found out that it was people like Misora Hibari and Kobayashi Sachiko and Yashiro Aki and Ishikawa Sayuri, who – except for Hibari – I've actually worked with all of these superstars. That's absolutely blown my mind. Those were the big ones, and they have all had the same influence on my music, which was just the fantastic way that they sang, created a whole new world of ways I could express melodies on my guitar. I would have to say all of those people. Probably the most would be Misora Hibari and unfortunately, she passed away, so I was never able to work with her. She is probably the biggest direct influence on my guitar playing. Q. For those who have never heard enka but are interested, what enka singers would you recommend starting with? Anyone from that first list would be fantastic. Those are the big ones, and you could also add Miyako Harumi to that list. Q. What Japanese experiences did you have in Hawaii that foreshadowed your future in Japan? It was totally subconscious foreshadowing. I never would've dreamt in a million years that I would have anything to do with living in Japan, back in the Hawaii days. However, I did listen to a singer named Mihara Junko, because one of my guitar students had brought it in to learn. I thought it was very odd that such sugary-sweet-candy-pop music would have so much guitar riffing and guitar soloing in it. I just thought that was the oddest thing. I don't know what the pop music at that time was like in America, maybe stuff like Tiffany or Debbie Gibson or something. That type of music would never ever have guitar solos in it, and yet the Japanese ones would not only have guitar solos but odd time signatures and riffs and typical heavy metal things, so I was really blown away by that. Q. When did you first go to Japan and why? What were your first impressions? Did you have any idea you would eventually live there? No idea I would live there. My first impressions were, 'Man, this is like being on a futuristic planet.' [I went] because I was in a band called Cacophony, and we were doing our first tour of Japan. Marty played in several bands during his early career, most notably Cacophony from 1986 to 1988. In 1990, he joined the legendary metal band Megadeth. During his tenure with Megadeth, Marty helped produce some of the bands best music and began teaching himself Japanese. Q. What prompted you to start learning Japanese? The first time I came to Japan, I was so thrilled at being there, that I really wanted to know what people were saying, particularly about me, and I wanted to be able to read the signs. Q. How did your abilities as a self-taught musician influence or help your language learning? Probably a lot. In music, I've always been excellent at learning exactly what I want to do to be able to create my music and avoid things I don't have a use for. In language, its almost exactly the same, as I learned to communicate the way I needed to, not the way a textbook might have taught me. Q. What are some ways you sidestepped traditional textbook language learning and took your own path? This advice works for music as well as language, but just getting into it. Not learning it, not practicing – just doing it. Of course, I learned a lot of the basics – the very, very basics – of grammar and stuff and basic Kanji writing from textbooks and learning in class. But I would say 95% of what I've learned has been completely just from immersing myself in situations where I have to speak Japanese. That means working in a Japanese atmosphere. Working in a Japanese recording session where everybody's Japanese. Doing Japanese television is absolutely the best thing for learning Japanese, because you have to read cue cards, you have to say something interesting on the spot, you have to join the conversation. There could not be a possible better way to learn Japanese than that. I realize that's a bit extravagant for most people, but I would certainly say coming to Japan is by far the best way to learn the language, much more than taking a college course or learning by books. Just being there and doing things on a daily basis, whether it be home stay or working in Japan or just living in Japan, or doing some kind of exchange student type of thing. Being in Japan and not speaking English is by far the best way to learn the language. Q. Did your ear for music help you with learning Japanese? Certainly. Language requires astute listening, as music also does. Doing either of them professionally will definitely set you up well to do the other. Q. For those who are not musically inclined, what are some ways to train their ears for music and thus also for language learning? I will admit, being musically inclined helps in your language skills, because there's so much hearing and listening for things and remembering things, so it helps. If you're not musically inclined, [you can] your ears for music. There is no better training than just immersing yourself in music and listening to music you love, and trying to figure out what the things you really love are, and why is it that you really love them. The deeper you think about that kind of stuff, you'll be surprised how far you get towards your ear being developed. 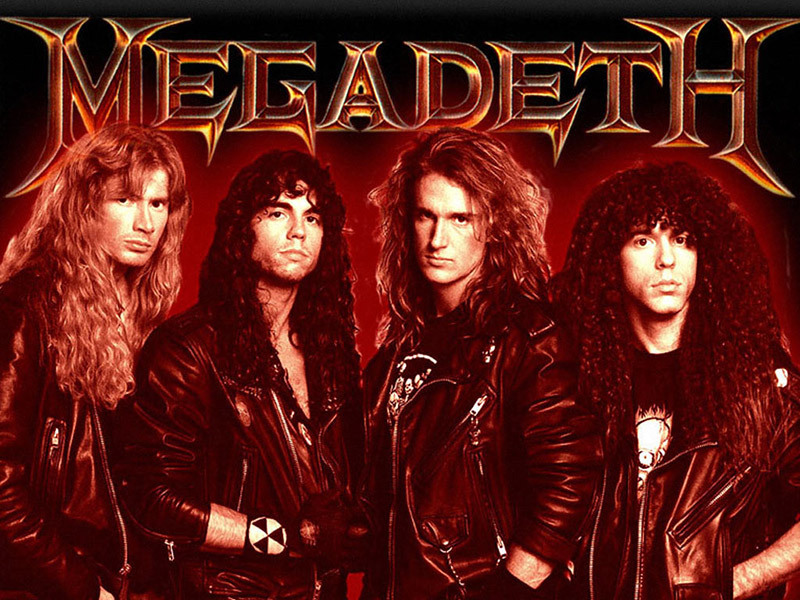 In 1999, Marty left Megadeth for good. There was no decline in financial success that led to his decision. The motivation was pure passion and artistic drive. Q. What made you decide to make the bold move to Japan? You had a flourishing career in the states, after all! I looked at the top ten in the U.S. and rarely found [a single] song that I liked. I looked at the top ten in Japan, and usually 8 or 9 songs were songs I liked. As an artist, I knew I had to be in a place where I wanted to make music. Q. After you moved to Japan, did you experience any culture shock? Not much. After touring the world X number of times, and maybe 20 times in Japan, nothing surprises me. Q. How did you establish your career in Japanese music? Literally one event at a time. One TV show, one recording session, one concert at a time, people started to see what I was able to do and that I was kind of unusual. Q. What did you do that was unusual? I left a multi-platinum band in America and just pretty much packed up and moved to Japan, all of a sudden, because I wanted to be a part of the Japanese music industry, the domestic music industry. That's pretty unusual. And I think I'm – without question – the only person who's done that. There was never really a specific instance that wowed someone, that launched me into a new level of popularity. Not that I know of, anyway. For better or for worse, my popularity – so to speak – has always, even from the beginning of my career to now, grown in extremely small, small increments, so small that even I don't notice it. I'm basically just doing what I do, the main thing being making my music, doing what I love to do. And if people join the party, that's great. I've never been the best PR person for myself. Although it's a necessary evil, and I do my best, but I'm just not that great at it. I just do what I'm best at. Seems like people have joined the party as I've gone along. It's really been a fantastic experience. Q. How many events and shows did you play in Japan before you felt established? Was it hard starting your career over? The first step was a tour that I did with a singer named Aikawa Nanase. She's a household name in Japan. She asked me to join her band, maybe three months after I moved here. I did a rather long tour with her. Maybe like 25 cities in Japan, which is a lot considering most bands do three or four or five at the most. I don't know if I felt established after that, but I felt like, 'Okay, now I don't think I'm going to have any problems going to the next step, because I'm in it. I've got my foot in the door and it's going great.' It was quite difficult starting my career over, but the challenge was actually what made it fun. When I came to Japan, I was very well known as an International musician, but not known almost at all on the domestic scene. That's the scene that I wanted to get into. A lot of people saw me and said, 'Who is this new long-haired foreign guy playing Japanese music? I've never heard of him, but he sounds pretty cool. He looks cool.' It was interesting starting my career over. I rather enjoyed it. Shortly after starting his Japanese music career, Marty unexpectedly launched a TV career as well. Q. How did you get started in Japanese TV? I was asked to do a show called, Hebimeta San (Mr. Heavy Metal). [It was] a brand new show which was like a parody variety show. It's kind of a send up, taking the piss at heavy metal music. All in good fun, like tongue in cheek. The premise of the show was to expose people's secret heavy metal fantasies, like people who you'd never think are metal fans but actually are, like models and actors, and stuff like that. It was a pilot but went well so it lasted 26 weeks, and then its spinoff Rock Fujiyama lasted 52 weeks. Being a regular on those shows started me off. Q. How did you get that initial gig on Hebimeta-san? I got an offer to do the show. They asked me to do it, and at that time, I was really not into it, because I wanted to get deeper into Japanese pop music and I'd already been touring with Aikawa Nanase, and it was going great. I was spreading out into the world that I wanted to get into. I really didn't want to be known as this heavy metal guy, for what my goals were at that point. I was reluctant. When they asked me to do the show, they said, 'You can just try it once, and if you don't like it, then you don't have to keep doing it.' I did it and it went absolutely fantastic, and the production company pleaded with me to keep going. I did it because I loved it. It was so stimulating. It started a whole bunch of new things. Q. 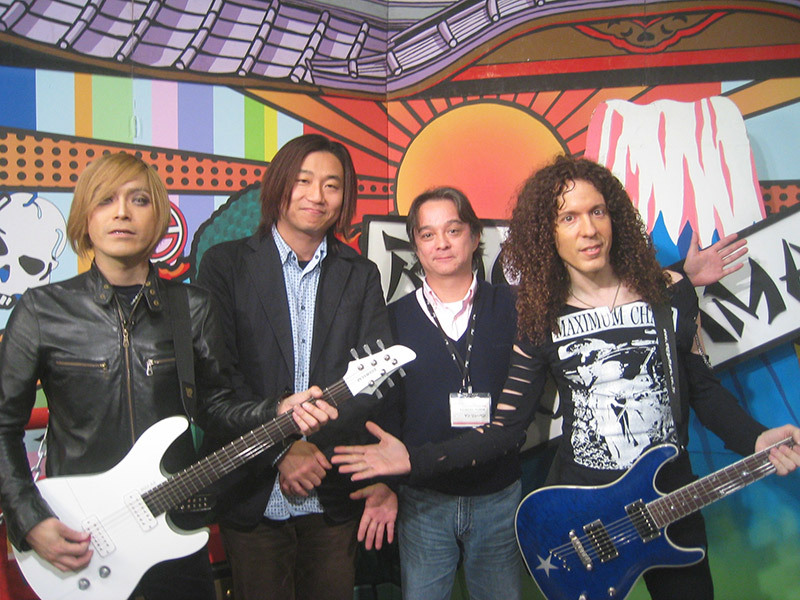 How much creative control did you have as a host on Hebimeta-san and Rock Fujiyama? Unfortunately, I had too much creative control, because it was a lot of responsibility. It was the type of thing where I was working very closely with the directors of the show on the content. It was so hard, because how do you make heavy metal funny? How do you make music that you're playing funny? It was a lot of musical sketches, and musical bits where I'd have to come up with very strange guitar stuff that normally you would never, ever have to do. It really tapped me musically, but it was fantastic for the stimulation of my brain, I'll tell you, but it was intense hard work. Usually, one of the directors of the show would come to my house on a specific day, and we would brainstorm for hours and hours, and once we'd get the ideas of what we were going to do, then I'd have to make demos of everything, I'd have to record everything that we planned to do. Then, I'd have to memorize a lot of strange, strange collaborations of music that I would make myself. I would have to memorize it, and if there are other guests involved, I'll have to teach them their parts or have them learn their parts and it was quite an ordeal, every time. I loved doing it, but it was a ton of hard work. Definitely some of the hardest TV work I ever had to do. Q. Who were your most memorable guests on that show? Man, there was a lot of great guests. Most of them were Japanese. I really enjoyed having Yashiro Aki on the show. That was the first time I met her and I was – like I told you before – completely in awe of her. When she agreed to do my thing on the show, I was ecstatic and she was so wonderful to me. We've been very, very close since then and worked several times after that. She was great. There was a lot of good foreign guests, foreign meaning American guests. Andrew W. K. was fantastic on the show. Kerry King from Slayer was a great foreign guest, and really brought some American credibility to the show, because the show was really a silly parody show, with a lot of wacky guitar stuff going on, and a lot of wacky segments. It was good to have a real thrash metal type of dude on the show. He was a real good sport. There was tons of memorable guests. It seems like a lot of people in the music industry loved watching the show, so they were more than happy to participate in it. Ken Yokoyama was also a great guest several times, he was a blast. Q. What is your impression of Japanese variety TV as someone who has been a part of that world? It can be silly, sometimes a bit disposable, but always interesting, fun and engaging. And a whole lot of hard work goes into it. Q. What is the production cycle of a Japanese variety show? Well, I sort of touched on it before with Rock Fujiyama, but they are all totally different. Usually I'm just a guest, maybe I'm on a panel or maybe I come in in a certain section of the show, where I have "Marty's Corner" or whatever. My responsibilities are relatively light. I just learn the content of the show and go on there and bang it out. On Rock Fujiyama, it was a very intense production cycle, where the production stuff would come up with a lot of ideas and then they'd have a meeting without me. Then they'd have a meeting with me after their meeting. One of the producers would come to my house, like I said before, and we'd get into the actual details of what needs to be played, what kind of skits we're going to do, what would be funny, what would be exciting, what would make people surprised and just how to make the show interesting. We would basically work for maybe two weeks on that and then shoot three weeks of programming in one long, long day. That would start maybe at seven in the morning and finish at 11:30 at night or so, maybe midnight even. I'd be happy to do it again. The shows I've done since then have been much, much easier. 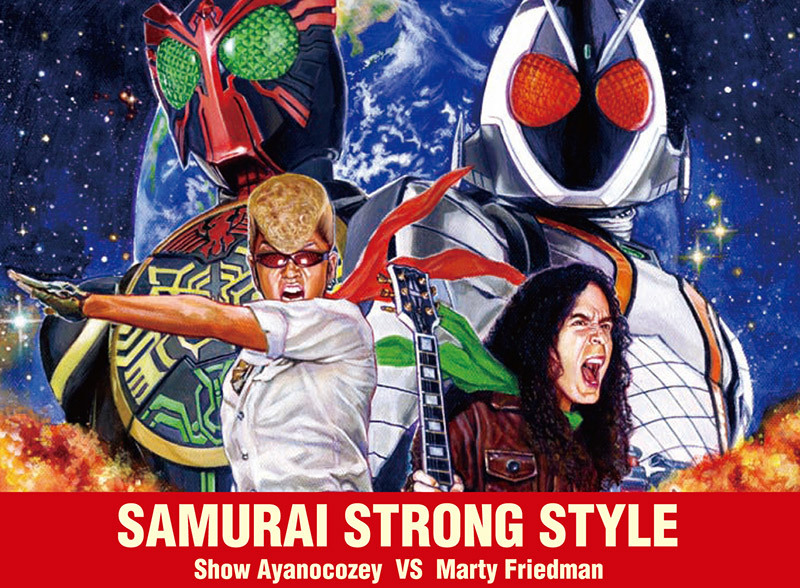 Despite being a veteran of the U.S. music industry, Marty found a lot of new challenges (and pleasant surprises) in the Japanese music world. Q. How does working in the Japanese music industry differ from the U.S.? Domestic artists do many more things outside of recording and touring than in the U.S. They can be regulars on TV or radio shows, have magazine columns, and do other events to keep them in the spotlight. That's why it's not a big stretch for me to do so much TV here. Q. Because you have so much flexibility as a Japanese music star, what avenues do you hope it opens up to you in the future? I hope to be somehow involved with something that bridges the gap between American music and Japanese music. There's a lot of great projects that are being heard outside of Japan, like BabyMetal and Kyary Pamyu Pamyu, and other great things. I would like to be involved in some kind of a mash-up, some kind of mix between Japanese stuff and American stuff. I have no idea what that's going to be. When the right thing happens, it will happen, but I'm open for so many different things, and I have a real open mind. I have a couple of ideas in the fire right now that I'm working on, but you just never know what it's going to be. You never know what that thing is that's going to explode, but I just hope to be part of something where you can really bridge the cultures musically and break down some of the stereotypes, as well as build up some of the stereotypes. I'm looking forward to that. Q. Who are your favorite Japanese music artists to work with? So many…Hyadain is one of my favorite producers. We did a song for Momoiro Clover Z called, Mugen no Ai and I like to call that song the "Bohemian Rhapsody" of Japanese idol music. Q. What artists do you like performing with? Any enka artists? Enka artists, yes, and I've performed with the absolute best. I've done Kohaku with Ishikawa Sayuri. I've also played and arranged two new songs on her latest album that Takuro from Glay wrote. I wrote a song for Yashiro Aki, and played it on so many TV shows. It's her latest single called MU-JO. Energy-wise, I love all of the artists I've worked with. Every single one has been fantastic. I really love playing with Kitade Nana. This was in about 2008, and I did five songs with her, my favorite being My Treasure. We did some live stuff. Energy-wise, Ame, she's not from Japan she's from Taiwan. I would say she's the Beyonce of Asia. Her energy is mind-boggling, and I just go crazy when I play with her. Of course, Momoiro Clover, we've done a bunch of stuff together and there's no words to describe the insane energy that we have, and that they have. 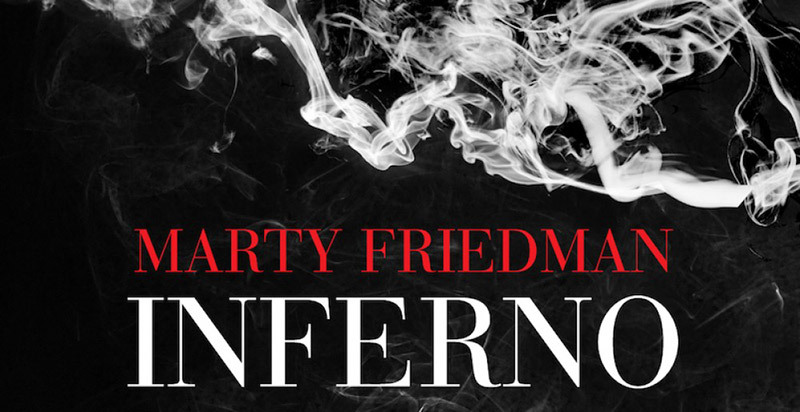 This past May, Marty released Inferno, his first album to be released outside of Japan in over a decade. It combines Marty's years of dedication to the art of guitar playing with his diverse musical background. As I mentioned earlier, it melted my face off. Q. Tell us a little about your new album, Inferno. It's by far the most entertaining and most ambitious album of my career so far. Q. What Japanese influence can we hear on Inferno? All of my experiences added up, create the music that I make, so my Japanese experience is all in there. To be specific, the song Inferno is kind of arranged like a Japanese drama. It's based on a main theme that's performed several times with different interpretations, different moods with exciting things connecting them in contrast. This I got from watching Japanese dramas, and watching the way they use musical themes in so many different interpretations. There might be a quiet version, a busy version, a jazzy version, a light version, a heavy rock version, punk version, whatever. That's all kind of in the song Inferno. Q. What elements of Inferno set it apart from your previous work? What sets it apart from other heavy metal albums? It's by far the most Marty-influenced album of all. All of my albums pretty much, they smell like Marty, but this one stinks of me. Even though I've had a lot of fantastic guests on this record, they've all gone through the Marty strainer, so to speak. I got exactly what I wanted out of these people. Their sound, not my sound, I didn't make them play to my sound. I got what I loved out of their music and I got it in my record. It's the most Marty as a musician, the most Marty as an artist, and the most Marty as a fan. I think, that in itself, sets it apart from other heavy metal albums, because I just have such a warped musical identity, that I can't think of anything that it sounds like, for better or for worse. Q. What do you like to do when you're not rocking the Japanese music world? I love playing music. I just got off a European tour and it's my favorite thing to do, playing live. It took me maybe 16 months to record Inferno. I've pretty much had my fill of studios for awhile. I got back on the stage and played the stuff live in Europe, and I just loved playing live. That's my favorite thing to do, whether it be Japan or anyplace in the world. Q. 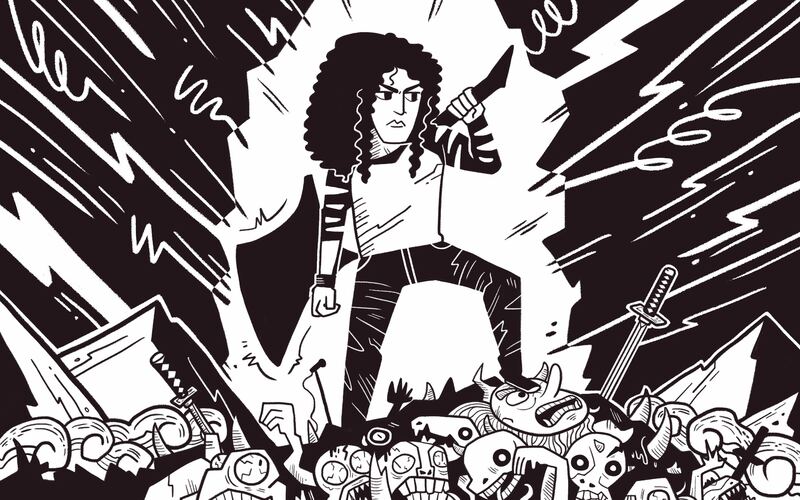 If there was a Marty Friedman video game, what would it be like? Maybe one of those mahjong games, where every time you win something, a girl strips. I like that.